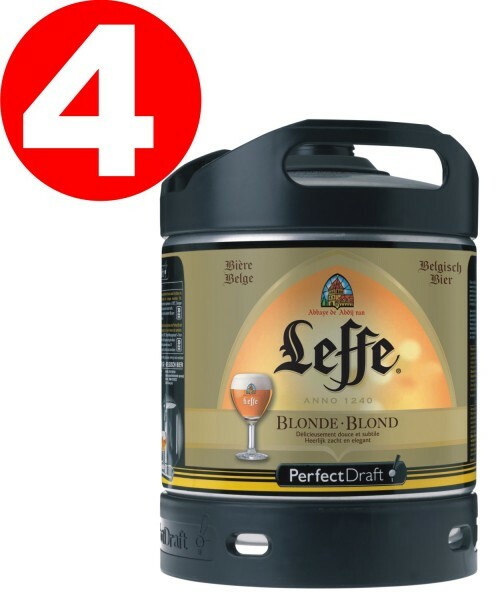 Product information "4x Leffe blonde beer from Belgium Perfect Draft 6 liter barrel 6,6 % vol"
Full of soft and fruity flavor, followed by a strong, surprising aftertaste. Leffe Blonde his delicate aromas of vanilla and cloves. its spicy, refreshing aftertaste palate fond memories! Related links to "4x Leffe blonde beer from Belgium Perfect Draft 6 liter barrel 6,6 % vol"
comment "4x Leffe blonde beer from Belgium Perfect Draft 6 liter barrel 6,6 % vol"
Customer evaluation for "4x Leffe blonde beer from Belgium Perfect Draft 6 liter barrel 6,6 % vol"